Hello friends! 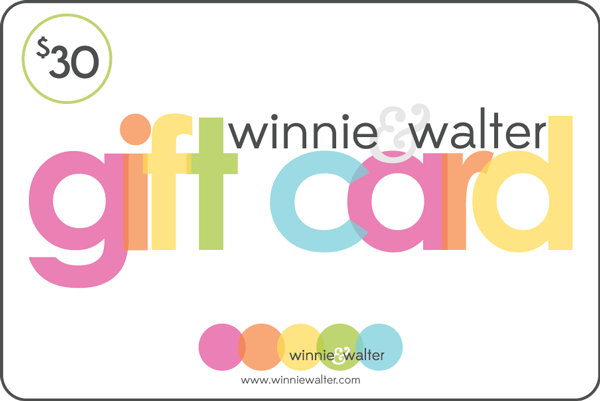 I wanted to share one more Winnie & Walter card that I made for the February Leading Lady posts that I haven't shared yet and then get to what you've been waiting for: the winner of the $30 gift card to the Winnie & Walter store! 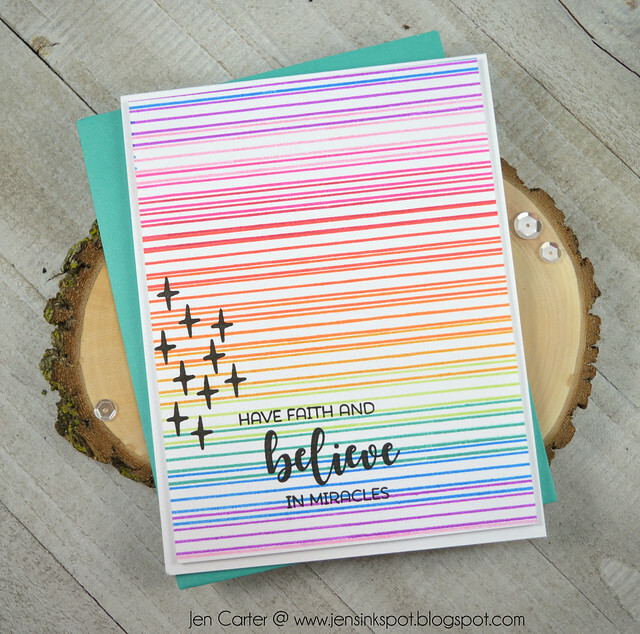 For this card I used the Scenery: Stripes stamps to create my background. I used lots of bright Catherine Pooler inks for the rainbow of colors: Flirty Fucshia, It's a Girl, Party Dress, Rockin' Red, Tutti Frutti, Orange Twist, Sauna, Something Borrowed, Aquatini & Garden Party. Once the background was finished, I used the little cross like images from the Winter Wishes with Evelin T Designs stamp set to make a little random pattern. The sentiment is from the In Bloom: Debra's Poinsettia with Lydia Evans stamp set. Thank you to everyone who left comments on my blog during the four weeks of being the Leading Lady on the Winnie & Walter blog! Your comments meant a lot to me! 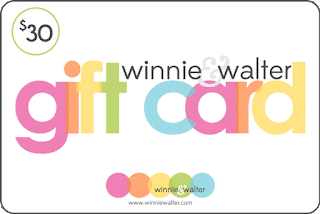 Thank you again to Shay for the opportunity and for providing this gift certificate to one lucky winner! 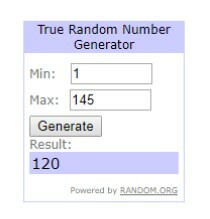 Our winner is Sammi! Congratulations! Thanks again everyone for your support! Have a great weekend! Wow! Seriously love that rainbow of color! All that Jazz Catherine Pooler Release Day!